Rich Gannon is a former American football quarterback who played in the NFL. He played eighteen seasons for teams like Minnesota Vikings, Washington Redskins, Kansas City Chiefs and Oakland Raiders. As for now, he works as a sports commentator with CBS Sports and Sirius XM NFL Radio. As a football commentator, Richard Joseph Gannon reportedly earns around $105,000 as his yearly salary from CBS Sports. Further, Richard Joseph Gannon has an estimated net worth of over $8.5 million. Richard Joseph Gannon was born on December 20, 1965, in Philadelphia, Pennsylvania. As per his nationality, he is American and belongs to White ethnic group. Further, his star sign is Sagittarius. Richard Joseph Gannon attended Saint Joseph's Preparatory School in Philadelphia, Pennsylvania where he played for his high school football team. After completing high school, Richard Joseph Gannon enrolled at the University of Delaware and played for the University of Delaware. Rich Gannon was selected in the 4th round (98th overall) of the 1987 NFL Draft by the New England Patriots but was quickly traded to the Minnesota Vikings. He played four regular and one postseason games in his rookie season of 1987. In 1988, he completed 7 of 15 passes for 90 yards but was sacked twice for 15. In the 1990 season, he was 182-for-349 in passing for 2,278 yards and threw for 16 touchdowns and 16 interceptions. He was further sacked 34 times and rushed 52 times for 268 yards. He played for the Vikings till 1992. In August 1993, Vikings traded Gannon to the Washington Redskins. With the Redskins, Gannon played in eight games. He played just one season for the Redskins and had to rest off due to shoulder surgery. He signed with the Kansas City Chiefs in 1995 and served for two years as a backup where he was a teammate with former Chiefs teammate Trent Green. 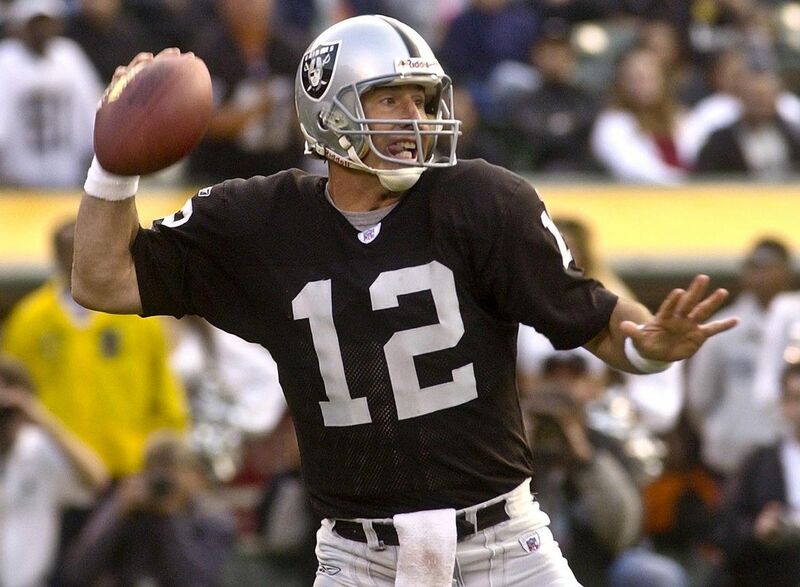 In February 1999, Gannon was signed as a free agent by the Oakland Raiders and won the NFL Most Valuable Player Award after a record-setting 2002 season, throwing for 4,689 yards and 26 touchdowns and recording a career-high 97.2 passer rating. In the Super Bowl, he threw a Super Bowl-record five interceptions. In August 2005, Gannon officially retired from football and joined CBS television as an NFL analyst. He further works as a game analyst for Green Bay Packers preseason games. Gannon also co-hosts The Sirius Blitz on Sirius XM NFL Radio with Bruce Murray. Rich Gannon is married to his wife, Shelley. Together, they have two daughters named Danielle Gannon and Alexis Gannon. Together, they are living a happy and content life. Currently, Rich Gannon resides in Ocean City, NJ with his family. Similarly, his relationship with his wife is as strong as ever without any rumors of a separation. As of 2018, Richard Joseph Gannon has an estimated net worth of over $8.5 million dollars. Further, he has an average salary of $105,000 dollars annually, working as a sports commentator at CBS Sports. Richard Joseph Gannon so far has made earnings of $8.5 million dollars from his entire career. Kept aside Richard Joseph Gannon financial earnings, his personal assets includes a Home in Ocean City, NJ. Other than being a former NFL Star, Richard Joseph Gannon is pretty famous in social media. He has 64.1k Twitter followers. Richard Joseph Gannon was not only a world-class athlete but also has a very attractive individual. The former NFL star is 6 feet 3 inches in height and weighs around 95 kg.